Do Probiotics Worsen Bowel Symptoms? Probiotic are supplements that are often taken to help treat problems with the digestive tract, such as diarrhea. 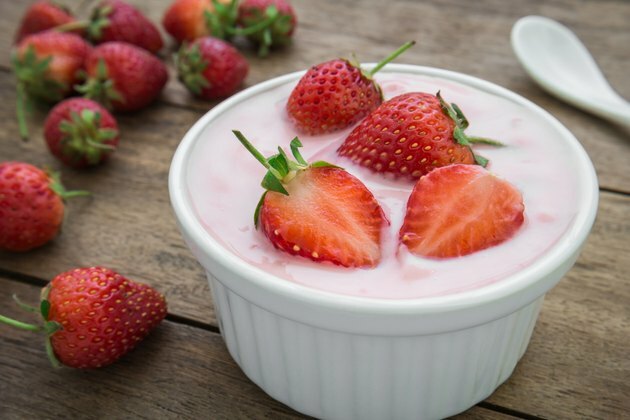 Although probiotics are generally safe, they can cause some gastrointestinal symptoms, particularly if they are used improperly or in high doses. Although probiotics generally do not cause any serious health problems, they must be taken in the right amounts and you should talk to your doctor before consuming probiotics. In order to understand how probiotics can cause problems for your digestive tract, it is important to understand what probiotics are and how they work. Probiotics are substances that contain bacteria that are similar to the microorganisms normally found in your digestive tract. These healthy bacteria help you break down undigested food particles and stimulate your immune system. Probiotic bacteria can also crowd out infectious bacteria, keeping them from causing bowel infections and causing health problems such as diarrhea. One digestive problem often associated with probiotic use is gas. The bacteria in your digestive tract break down some substances, such as soluble fiber, for food. When probiotic bacteria do this, they generate gas. This can cause you to develop abdominal bloating, belching and flatulence when you start using probiotics. In general, these symptoms will subside if you continue to take probiotics as your digestive tract will eventually adapt to the increased levels of bacteria. In some cases taking probiotics can cause diarrhea, even though many people take probiotic supplements to prevent diarrhea. Introducing a new probiotic can cause a condition known as excessive drainage syndrome that is a result of the different strains of bacteria in your digestive tract competing for space and resources. Although this does not usually cause any serious medical problems, you may become dehydrated due to excessive drainage syndrome, so be sure to drink plenty of liquids when adding a probiotic, particularly if you develop diarrhea. If you develop problems with excessive gas production or other bowel problems after taking probiotics, you may benefit from a lower dose. If you start with a low dose of probiotics, it is less likely to cause significant side effects and you can then gradually increase the dosage you take each day as your intestines adjust. Another option is to try a different type of probiotic, as different products vary in the types and amounts of bacteria that they contain. Probiotic.org; Probiotics Side Effects; 2009. Do Probiotics Help With Digestion, Gas & Bloating?